Select your device. Here, we have selected "GSM Technology Based Mobile Phone". 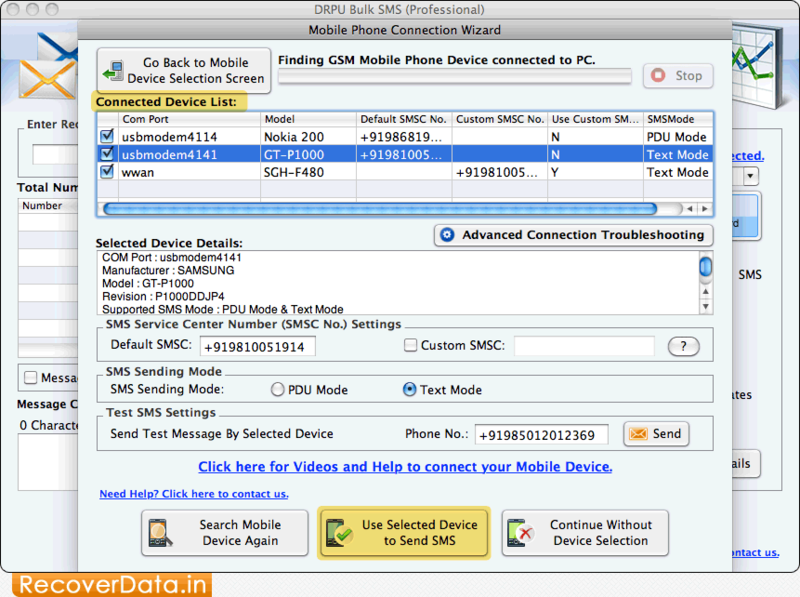 Select Com Port from 'Connected Device List' box. 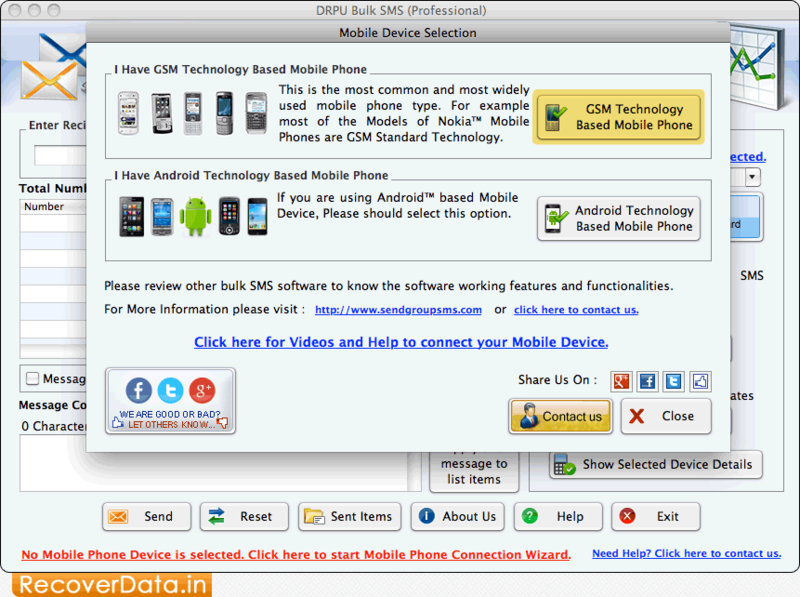 Click 'Use Selected Device to Send SMS' button. Here, we have selected three mobile device. 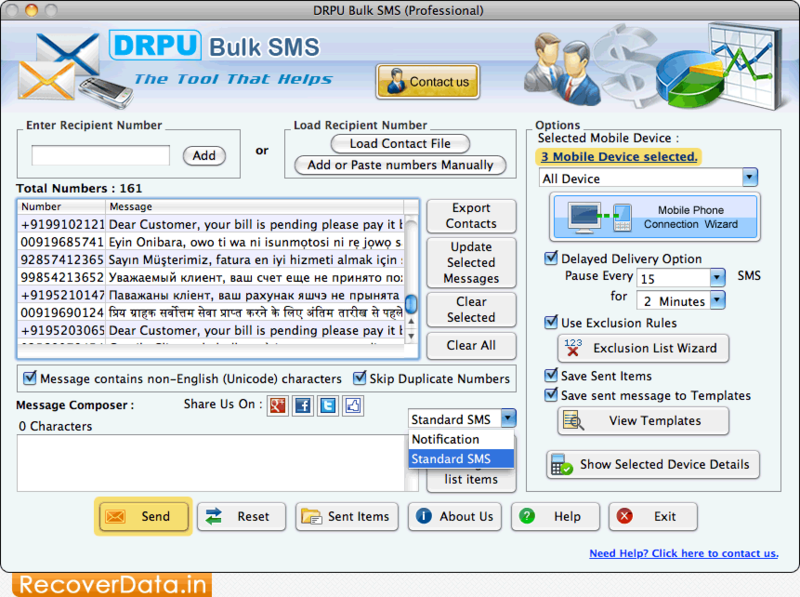 Click 'Send' button to send SMS. 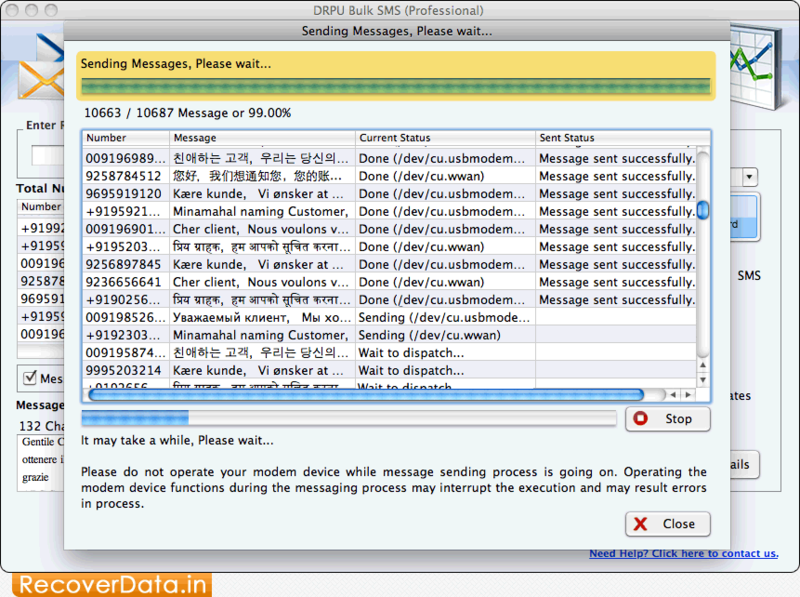 Progress bar to display Message Sending Process.